York Archaeological Trust offer numerous ways for people to engage with archaeology, none more hands on than our annual Archaeology Live! training excavations. Each year, we carry out an excavation in the heart of York, investigating sites that feature deeply stratified, highly complex archaeological deposits. 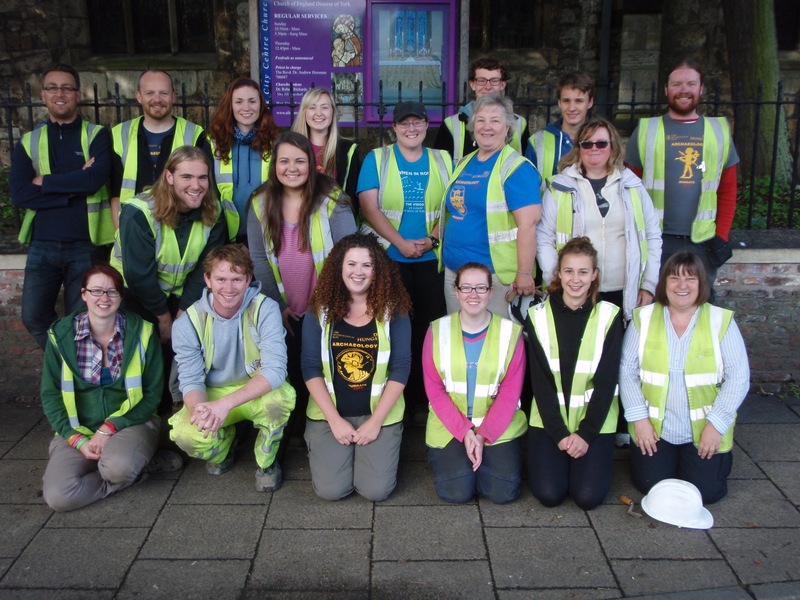 The excavation and recording is entirely funded and carried out by our team of trainees, this allows people to add their own chapters to York’s rich history. The Archaeology Live! training excavations welcome people of all ages, backgrounds and experience levels to participate in the full range of excavation techniques, single context recording, finds processing, environmental sampling and buildings recording. Our courses also include specialist sessions that teach people how to recognise and date pottery, how to treat and conserve delicate artefacts and how to build and understand stratigraphic matrices. Guided tours of central York offer a unique opportunity to learn about York’s hidden, subterranean history and how the city’s past has affected its present form. All of our training is delivered by professional field archaeologists, using the same methodology used on all YAT excavations. Over the last 16 years, Archaeology Live! excavations have been held at St Leonard’s Place, St Mary’s, St Saviour’s Church, All Saints, North Street and Hungate, the largest developer-led excavation in York. Our trainees have worked on features as varied as Roman burials, Viking buildings complete with surviving timber, Victorian slum tenements and medieval occupation deposits. The 2013 season even saw the Archaeology Live! team re-discover the lost church of St. John the Baptist, which had been hidden for almost 450 years! Please click the link for our terms and conditions.